Android P, Google have already started to work on it. Google, who recently unveiled the official name of Android O (Oreo) and started rolling out Android 8.0 Oreo OTA (over-the-air) updates to devices running the latest Android Nougat beta, has already started thinking about the future. 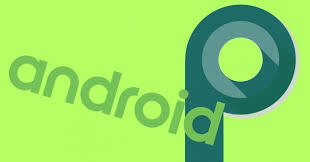 Apparently, the search giant is working on the next build of Android, likely to be known as Android P.
As spotted by XDA Developers website, Google has opened a new tag in the AOSP (Android Open Source project) repository called as ‘master-p’, indicating the arrival of the upcoming version of Android 9.0. The codes indicate that Google has started to test out Android P or Android 9.0 on smartphones like the Google Pixel (sailfish) and Pixel XL (marlin). The report adds that some of the changes made in the version_defaults.mk file mention PLATFORM_VERSION_CODENAME=P, TARGET_PRODUCT=marlin and TARGET_PLATFORM_VERSION=PPR1. One of the strings in the AOSP codes, which goes by the name, “master is P only, removing old values”, shows that the platform version was updated from 8.0.0 to P. All these changes and upgradation are a clear indication that Google is working on a new platform version. Whether the Google developer team has developed Android 8.1 to launch for eligible devices or have they planned to release Android 9.0 directly, we will have to wait and watch.